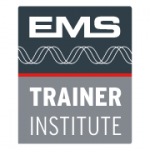 Impulse Studio™ is a member of the European EMS Trainers Institute with highly experienced EMS trainers and consultants. Our Impulse Specialists conduct the training according the European EMS Training Institute standards. Fixed appointments help to keep you on your fitness track. Your get your own Impulse online account for tracking your sessions, fitness results and improvements and for making online bookings. You are trained by a certified Impulse Specialist. 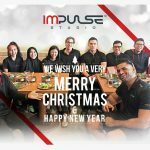 At Impulse Studio™, we know your name, your fitness level and your goals. We provide you the perfect fitness solution. Get Fitter Faster! are trained simultaneously and 20 minutes Impulse (EMS) Training is sufficiently effective as up to 4 hours of conventional gym training. 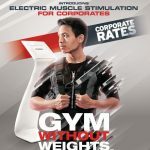 Even the deeper and smaller muscles fibers are activated during each contraction, which does not only increase muscular strength but also enhances the intra- and intercellular coordination. EMS elicits much more powerful contractions than possible from regular fitness training. That’s why you can only do it for 20 minutes max per session – it’s that intense! All these make EMS much more effective than conventional fitness training.